MANILA, Philippines – It was an emotion-filled morning Friday for JYJ member Park Yoochun as he and his brother Park Yoohwan held the funeral for their father, Park Hyun-geun, who died of a chronic illness last Mar. 14 at age 51. At around 6 a.m., the Park family held the funeral ceremony for the deceased. Yoochun carried his father’s picture as the coffin was brought out of the Seoul St. Mary Hospital. 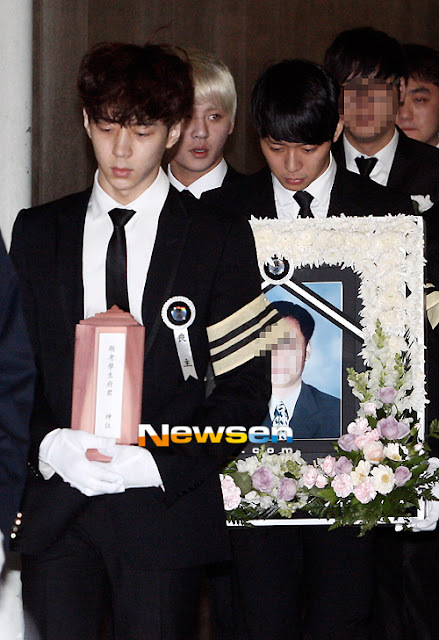 Fellow JYJ member Kim Junsu was one of the pallbearers. Tears were streaming down Yoochun’s face shortly after he boarded the hearse. 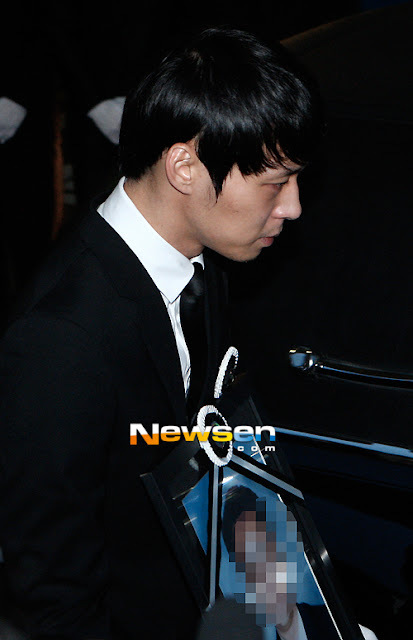 The body of Yoochun’s dad was brought and cremated at Byeokje Memorial Park in Seocho, Seoul. During the wake, friends and family members visited the funeral hall to pay their respects. During the time, JYJ's Junsu and Jaejoong were there to support Yoochun and his family. International fans of JYJ sent wreaths and flower bouquets to show their support and love. JYJ members were returning to South Korea from their successful concerts in Peru and Chile when they learned that Yoochun’s father passed away. Upon arriving at Incheon International Airport, Yoochun went straight to the hospital funeral hall. With the death of his father, Yoochun’s filming of his new drama “Rooftop Prince” was canceled on Mar. 15. It was reported that it will resume on Mar. 19. The drama will start airing on Mar. 21.